GI: (glycemic index) is how fast foods raise your blood sugar levels. Glucose is given a GI of 100 and if a food has a GI of 50, then it raises blood sugar half as much as glucose. Sucrose: chemically consists of glucose plus fructose. It is a common form of sugar found in sugarcane, some fruits and vegetables. One of the most popular and most used sugars in the world, used in everything from breakfast cereals, to your cup of tea, but this is not how it should be (no rhyme intended). White refined sugar is derived and harvested from sugar cane. I personally will never use this type of sugar in anything due to the extreme refining chemical processes it goes through to become its final form. Although it is very soluble (dissolves easily) in beverages and is ideal for baking, I am still not convinced… even though the differences between the brown and white sugar in both nutritional values and negative effect are pretty much the same… I personally steer away from this type due to the fact I do not particularly believe in the ethnicity of its processing. The ‘better for you’ alternative to white sugar. But in reality this is pretty much absolute nonsense… both white and brown sugar both go through the same refinery and chemical processes. 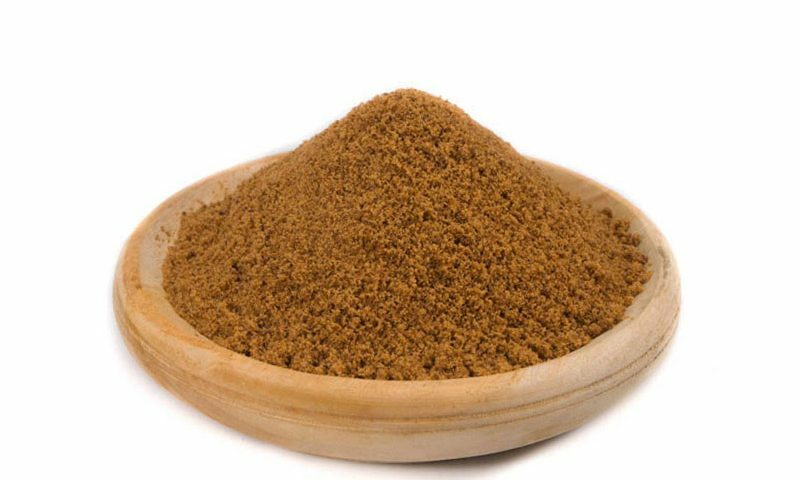 The singular difference between white and brown sugar is that, molasses, a thick dark nutrient containing liquid which is a byproduct of the process is added back to brown sugar. You may have heard the word “nutrient” above and thought this is good, but the values are so insignificant that there really is no difference apart from the appearance. Don’t believe the lies! Do not confuse brown sugar with raw cane sugar. Raw cane sugar is still extracted from the sugarcane plant and it can come across as a healthier option to white sugar and brown sugar due to it containing ‘raw’ in the name! But don’t be misled. Nutritionally speaking there is very little difference in raw cane sugar compared to white or brown sugar. But there one benefit. The reduced processing used to make raw cane sugar is less than white or brown, therefore more environmentally friendly, consuming less energy, less waste and fewer chemicals used. This sugar would be my go to for this very reason as I live for the environmentally friendly product and the ethnicity in which they are created. But the next one is my sugar! The great thing about Stevia, is that it actually contains no sugar whatsoever! It is available in various forms from flakes, granules or liquid and is a great substitute to use in cooking or in drinks and smoothies. All types of Stevia are extracted from the leaves of the Stevia Plant, but some forms taste better than others. I personally like liquid Stevia. Agave is derived from the blue agave plant found in Mexico and is a natural sweetener that is 1 and a half times sweeter than sugar. This is one of the key factors for why people use it. It is a vegan alternative to honey as it is derived from a plant. My personal feeling is that I would rather use honey than maple syrup, but it is a good alternative to traditional sugar. When buying honey always look for a raw unpasteurised product so you get all the goodness those bees work hard to make. In its purest form honey is one of the healthiest and most powerful superfoods on the planet. Raw, unpasteurised honey, made by your local bees…. I don’t think you can get a much better ‘sweetener’. Honey contains numerous vitamins and minerals and enzymes which possess amazing health benefits, such as: anti-bacterial properties, increased athletic performance, healing properties and it even helps to regulate blood sugar! So, how does is compare with your normal granulated sugars? Well, although Honey does contain on average a higher amount of calories per serving than granulated sugar, it does taste sweeter. So, in a sense you may use less…. But that’s not all! Your body breaks down food into the simple sugar and glucose for fuel. Normal table sugar is roughly 50% fructose and 50% glucose. Fructose is very easily broken down by our bodies, causing a spike in blood sugar levels! Honey is 30% glucose, 40% fructose and a 30% mix of more complex sugars. These complex sugars are harder to breakdown, therefore our bodies have to work harder and burn more calories to digest honey than normal granulated sugar! Get what I am saying….??!!! Honey also requires a very small amount, if any, processing compared to granulated sugars. Making it even better than it already is! Keep it natural and RAW! The final touch to our pancakes. Maple syrup, derived from heating the sap of the maple tree. Woo! 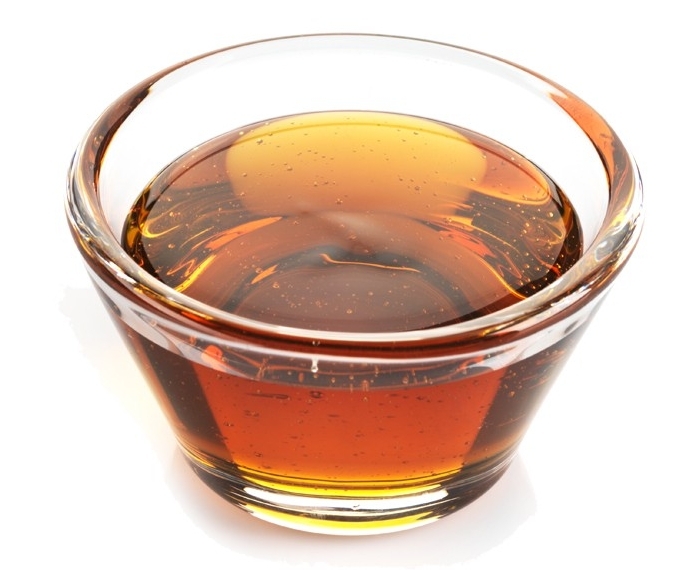 Maple syrup does contain vitamins, minerals and anti-oxidants like honey, not as much, but some. Already making it better than granulated sugar! When buying Maple Syrup stay away from the ‘fakes’. Names such a ‘pancake’, ‘breakfast’ or ‘original’ are the ones to leave on the shelf. They contain all sorts of nasty stuff like: cellulose gum, corn syrup and flavourings! Read the label and look for: raw, organic and natural. One of the oldest cultivated fruits in the world, the fruit of the date palm was first eaten as early as 4000BC. There are in fact hundreds of varieties of dates, from soft (Medjool, Khadrawy, Halawy) to semi-dry (Deglet, Noor and Zahidi) to dry (Thoory). The Medjool date is the King of Dates as its soft and sticky with a rich, honeyed, almost caramel flavour. These bad boys are my go to for daily energy and something I choose to add to my Cooper’s brownies, smoothies and almond milk. Now, there are all the main types of sweeteners. The truth is, in moderation sweeteners in the form of coconut sugar, honey, maple et,. are fine and can become a good addition to a balanced healthy diet along with becoming good substitutes for refined nasty sugar! Stay away from that stuff! But, remember everything in moderation! Below is my list of the sugars from my favourite to least and where I would use them in my daily life. 1. Honey – As mentioned before try to source as natural as possible by choosing raw and cold extracted/processed honey. I personally love to have honey in my green tea/chamomile and it’s my go to if I have a sore throat. If you can go the extra buck, buy Manuka. 2. Medjool Dates - I use these daily in smoothies, cooking and chopped on my porridge. I love the fact you are consuming a whole food and they have so many uses. 3. Stevia- Health wise this is the ultimate sweetener as it has zero calories and is around 200 times sweeter per gram than sugar. The one downside for me is the varied taste and it still tastes like a sweetener. It’s great for people looking to cut sugar and lose weight. 4. Coconut Sugar - A good natural sugar and ethically produced. I will always try to use this in cooking and also, if you want a sugar in coffee or English tea. 5. Raw Cane Sugar - This is very similar to Coconut Sugar in terms of how I would use it - cooking and hot drinks. I place coconut above because it is a more ethical processed sugar. 6. Maple Syrup - I love Maple Syrup and this is my fix for my porridge, protein pancakes and also in my kids smoothies. It just seems to have a sweeter flavour than honey which they like..
7. Agave - A good sugar substitute and natural but mainly manufactured by heat pasteurisation meaning it’s high in fructose and loses all natural benefits. 8. Brown sugar - This is my last resort if I need a sugar. If I'm in a restaurant and have a coffee, I will have a small amount of brown sugar but ideally I would rather have coconut or cane. 9. White sugar - NEVER! THE BAD GUYS TO AVOID…. I want the blog to be a positive place but I also feel a responsibility to share insight and views and I am heavily against these sweeteners. I would not let my kids consume them and believe they are massively responsible for modern illness and obesity. My main philosophy with diet is to eat REAL food and these are the biggest bad guys in processed foods and drinks. is an ingredient in approximately 6,000 consumer foods and beverages sold worldwide. It’s the worst in my opinion and has been in contention to be banned in California and is heavily linked to obesity. Found in (but not limited to) - Diet sodas and other soft drinks, instant breakfasts, breath mints, cereals, sugar-free chewing gum, cocoa mixes, frozen desserts. This is affectively chlorinated white sugar so you can see my initial problems with it. contains methylene chloride - a carcinogen that can cause depression, cancer and liver and kidney effects… Nuff said. Since I was a kid my mum has been very strict on believing that this is a bad substance that can cause all sorts of illness. There are lots of articles on the web to look through. This a hydrogenated substance and is poisonous to pets so keep clear of your furry friends and I would personally avoid too! Found in (but not limited to) - baking mixes, candies, gum & mints, jams, syrups, condiments, honey, & raw xylitol. Also protein bars & powders, flavoured waters & drink powders, chocolate, peanut butter & nut butters and dental products. So, there you have it. I’m sure you all have a view and please let me know your thoughts as I'm not here to force opinions, but just to purely share. One tip though, if you’re making a smoothie use a date and you can’t beat raw honey in a cup of green tea.